For us, art is transcendent; art defies time and place. As a gallery, we strive to share such transcendence. David Michael Slonim was born in Miami, Florida, in 1966. He received his Bachelor of Fine Arts degree from Rhode Island School of Design in 1988. Slonim's fine art career began with a sold-out show in 1998 at Overland Gallery in Scottsdale, Arizona. 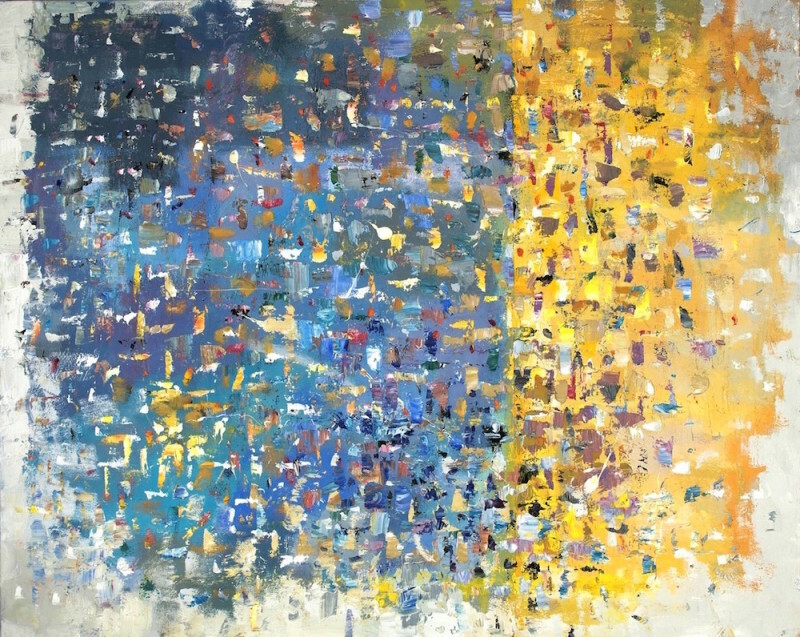 His work is inspired by a wide variety of masters including Diebenkorn, Mitchell, Motherwell, de Kooning, and Cezanne. Slonim develops visual rhythms from a combination of observation and improvisation. "I feel an affinity with the abstract expressionists of the mid 20th century," he says. "I share their belief that relationships of color, space, and texture can convey aspects of human experience in purely visual terms." His work has been selected for the Coors Western Art Exhibit, Great American Artists, C.M. Russell Auction, Western Rendezvous of Art, Western Miniatures Show at the C.M. Russell Museum, and the Rising Stars exhibit at the Desert Caballeros Western Museum. Solo exhibitions at regional museums include the Richmond Art Museum, Richmond, Indiana; Minnetrista Cultural Center, Muncie, Indiana; and Anderson Center for the Arts, Anderson, Indiana. Slonim's paintings hang in corporate, museum and private collections nationally. His work has been featured in Western Art & Architecture, Southwest Art, Big Sky Journal, USArt, Plein Air Magazine, and Indianapolis Monthly.